Mobility Scooter Rentals for Los Angeles and surrounding counties (San Fernando Valley, Orange County, Riverside County, Ventura County). 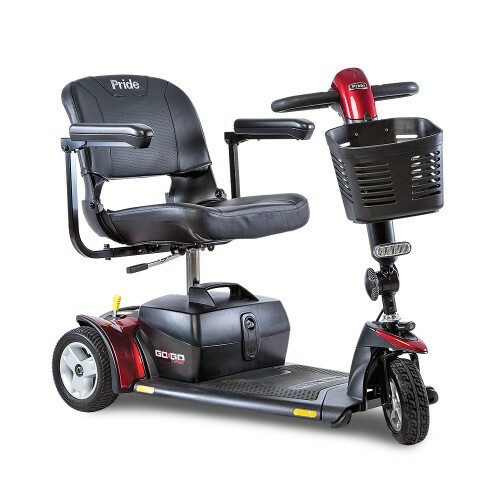 We carry the most durable and high quality Mobility Scooter Rentals from the highly rated brand Pride Mobility. 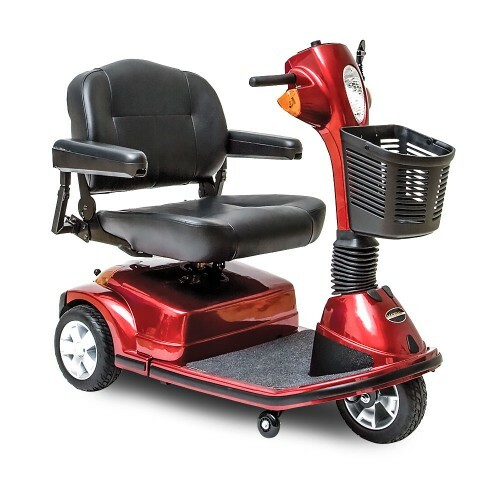 Here at Daily Care Medical Supplies we carry a variety of sized scooters for users of all sizes. All of our mobility scooter rentals are cleaned, sanitized, and tested before reaching the customer. Our mobility scooter rentals are in stock and ready for rental in our Tarzana showroom. Our showroom address: 19330 Ventura Blvd. CA 91356. Customers can call and make a reservation over the phone and visit the showroom for pick-up. Delivery is also available for our mobility scooters (fees apply), our trained technicians will deliver to the home and instruct safe & proper use of the mobility scooter. 120.02 lbs. 325 lbs. 36" 5 Pieces 4.7 mph 35.8 lbs Up to 9 mi. 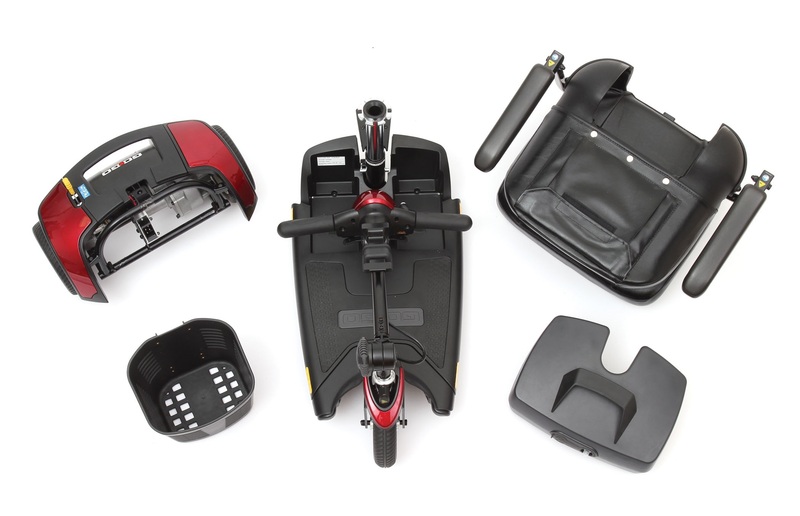 The 3-wheel travel mobility scooter rental can be disassembled into 5 pieces and has a small turning radius for easy maneuverability. The go-go series is lightweight, portable and user-friendly for use during vacations, day trips or recovery. 127.7 lbs. 325 lbs. 50.5" 5 Pieces 4.7 mph 44 lbs Up to 12 mi. The 4-wheel travel mobility scooter rental can be disassembled into 5 pieces and has a stable 4 wheel frame. The go-go series is lightweight, portable and user-friendly for use during vacations, day trips or recovery. 165 lbs. 400 lbs. No 54 lbs 5.3 mph Up to 15.5 mi. 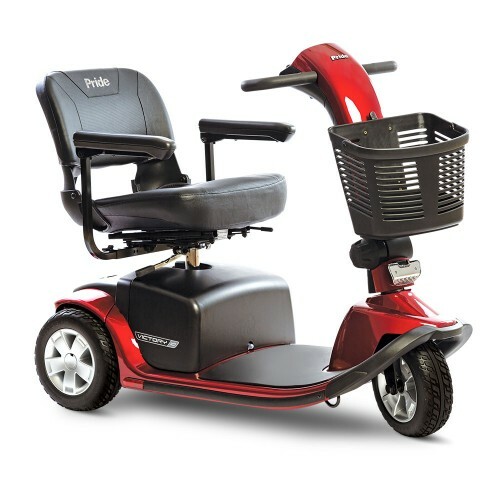 The 3-Wheel Standard Mobility Scooter Rental is ideal for users looking for comfort and performance to enhance their active lifestyle. The Victory 10 does not disassemble into pieces and is great for use during vacations, day trips or injury recovery. 171 lbs. 500 lbs. 50.38 No 5.3 mph 76 lbs Up to 18 mi. 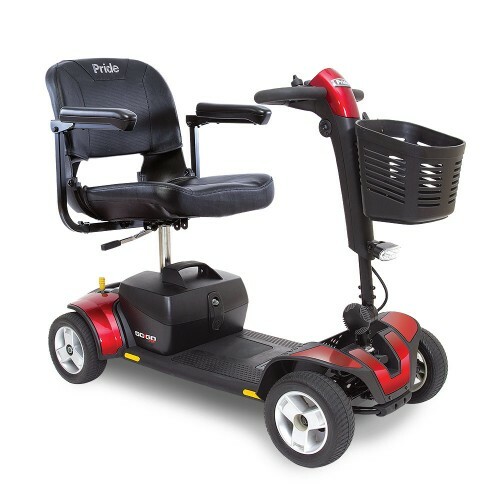 The Heavy Duty/Bariatric Mobility Scooter Rental accommodates bariatric users and is great for use during vacations, day trips or injury recovery. The scooter does NOT disassemble for travel and requires a wheelchair accessible van for transport. It has a range of up to 18 miles and a maximum speed of 5.3 MPH.